Following the success of last year’s Summer Fair, we are hoping for something even bigger and better…..let’s hope the sun shines! 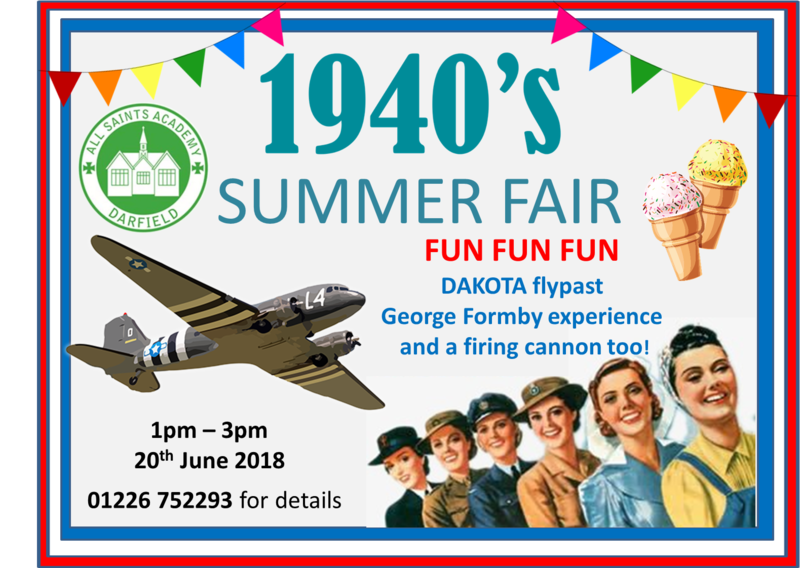 Our summer Fair will be on the afternoon of the 20th June and will have a 1940s theme. The whole event will begin for the children and their parents with a family picnic lunch from 12-12:50 and then the actual fair will begin at 1pm and will run until 3pm. Put the date in your calendar!